Trips by booking only. Full refund if we cancel due to poor ocean conditions. Cancelation within 48 hours of departure, 50% fee. Cancellation within 24 hours of departure and no-shows, no refund. All cancellations prior to 48hrs incur a 10% administration fee. 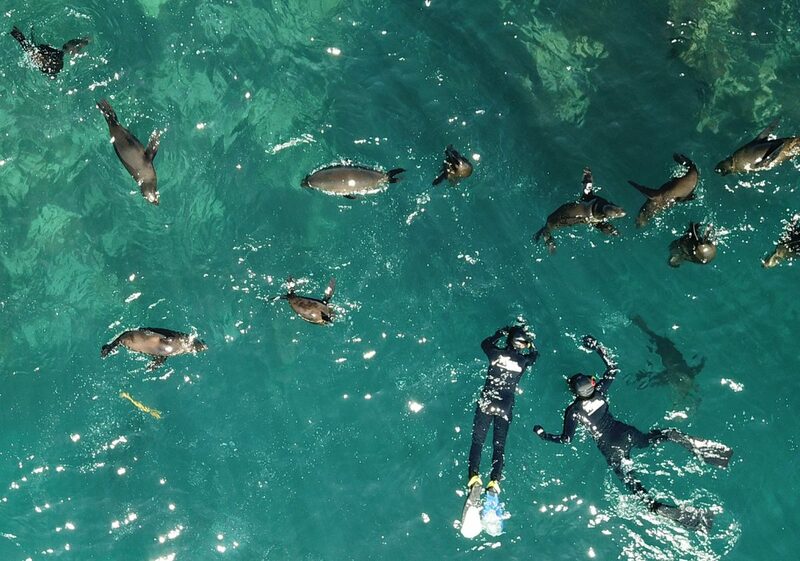 CASEY NEISTAT - "...that was pretty amazing"
Seal Snorkeling with Animal Ocean in Cape Town is the ultimate wildlife experience on your holiday. We are THE TOP rated activity in Hout Bay by TripAdvisor. 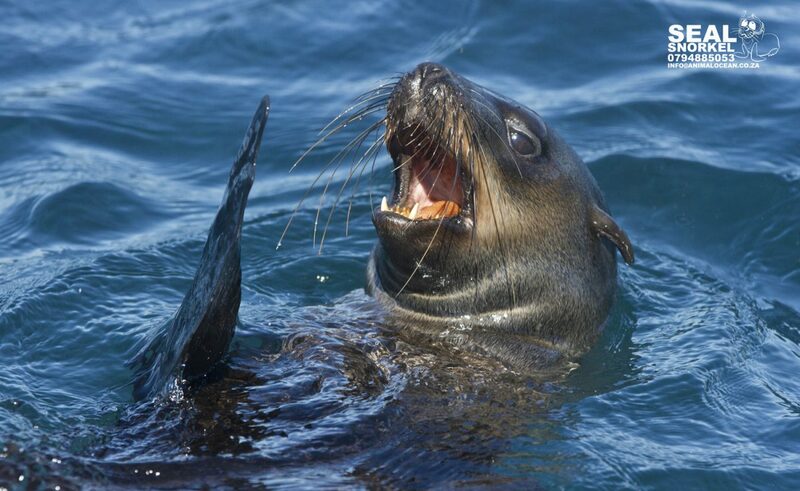 Plunge into the cool Atlantic ocean and snorkel with hundreds of playful Cape Fur seals. You can interact with them in their environment, on their terms. 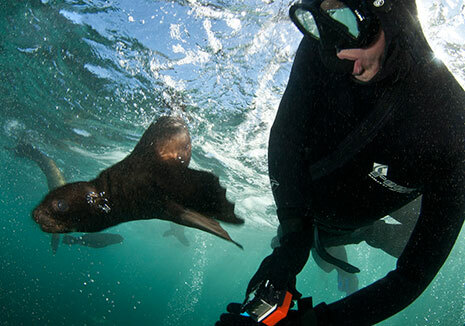 If you love seals and the ocean, this is the best thing to do in Cape Town ! All Seal Snorkeling trips booked for Tuesday 23rd April have unfortunately been cancelled due to unsuitable weather conditions. Please mail us at info@sealsnorkeling.com for any queries. Welcome to Animal Ocean’s Seal Snorkeling website. 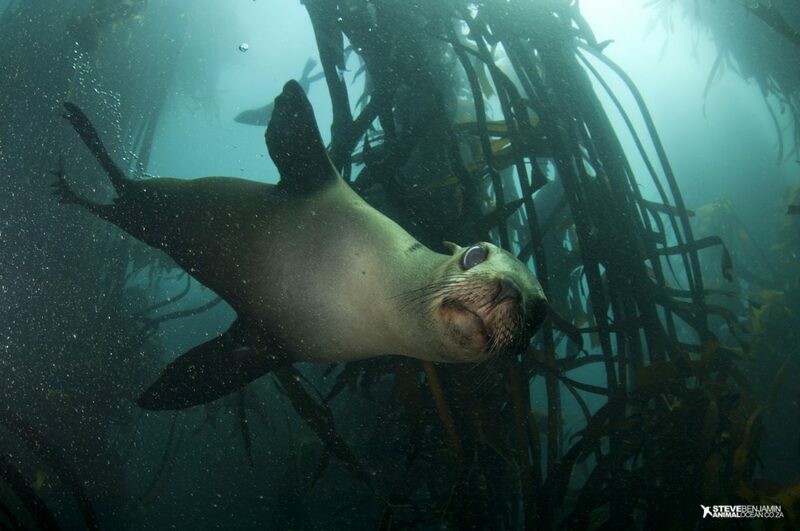 We are the seal snorkeling experts and are dedicated to getting you in the water with these fantastic creatures. Our teams of passionate marine guides are keen to share the beauty of the ocean with you. Join us at our Snorkeling Center and enjoy hot showers, private change rooms, free Wifi and coffee. Our vessels take 10 snorkelers and will get you to the snorkeling site, Duiker Island, quickly and safely. 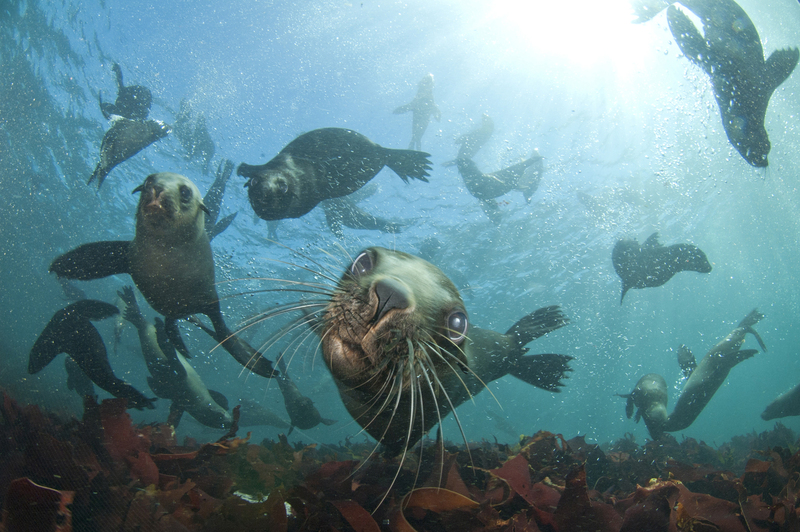 Cape Fur seals are most active and abundant in the heat of Cape Town’s summer. So beat the heat – join us! 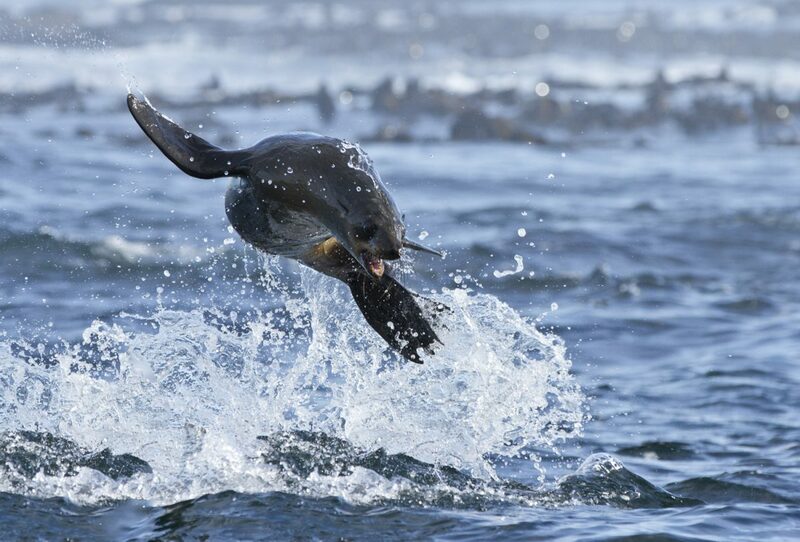 Cape Fur seals occur naturally on islands around the southern African coast and are found nowhere else in the world. 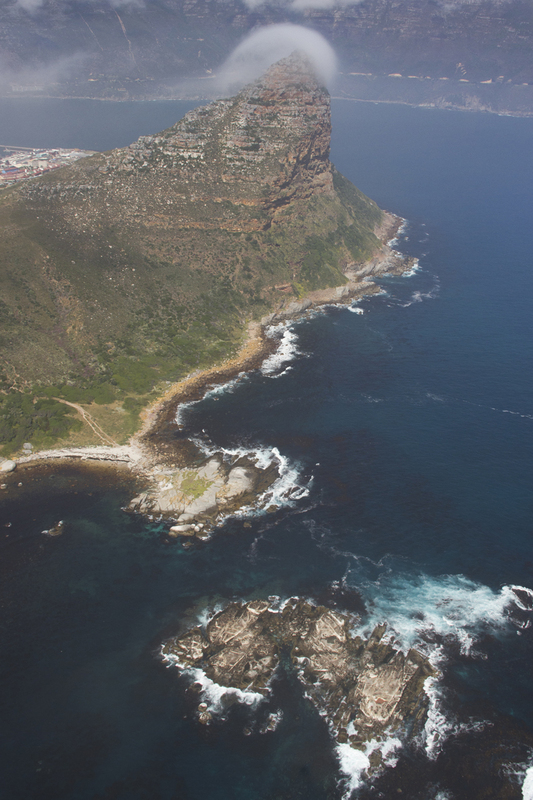 Duiker Island in Hout Bay is home to about 5 000 seals and lies within the Karbonkelberg marine protected area, part of Table Mountain National Park, Cape Town. 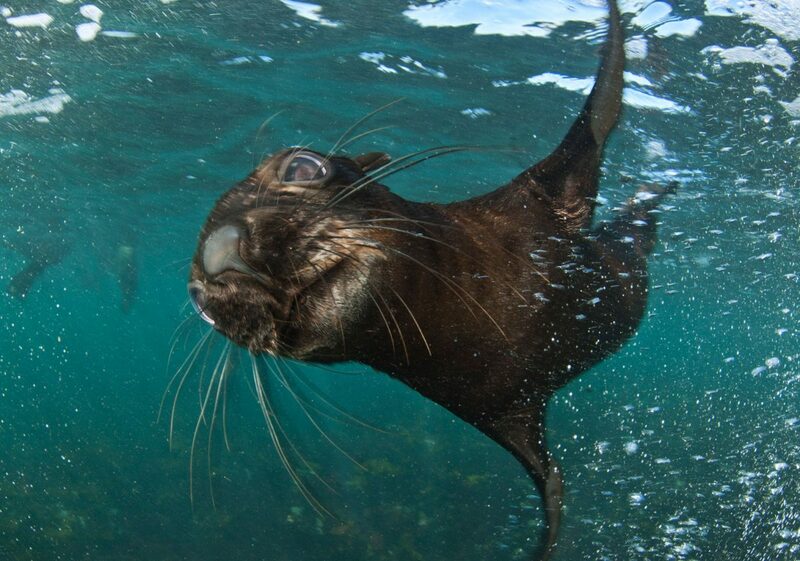 These Cape Fur seals are not fed or trained, they behave naturally and interact with snorkelers on their own terms. Seal Snorkelers can always see seals in the water and there are no sharks present. This is a wildlife adventure that brings you mask-to-whisker with playful and inquisitive wild animals in their natural habitat. Please arrive on time – we do not want you to miss your trip! The time you booked online is the time to arrive. We meet at the Seal Snorkeling Center – 8 Albert road, HOUT BAY, Cape Town. We are NOT in Albert Road, Salt River, Cape Town. See directions below. About 2.5 hours. This includes 30 minutes to sign in and kit up, briefing and travelling to and from the Harbour and island. On average, visitors spend 45 mins – 1hr in the water. The Seal Snorkeling Centre is a converted house right near the harbour. It took us a long time to find a “Brick and Morter” home for our Seal Snorkeling operation and we are proud of our building. Changing rooms, hot showers and free Wifi are enjoyed by our guests. We have a lounge to relax in while you wait or warm up in after the dive. It’s a great place to be and we hope to share it with you. The seal snorkeling site is very shallow (1 – 5m deep) and you will see the bottom clearly most days. This is the ocean so there can be small waves and a choppy surface. The water temperature varies from 8C – 13C. This means that the water is COLD ! The boat is always nearby and you can return to warm up if needed. You need to be able to swim confidently – please note that this is a SWIMMING ACTIVITY. For your own safety the skipper reserves the right to assess your swimming ability and to ask you to remain on the boat should they deem you unfit for this activity. Motion sickness is a problem for some – if you suffer from motion sickness this experience may not be for you. We recommend one motion sickness pill the evening before and one the morning of your trip if you are prone to seasickness and want to join us. 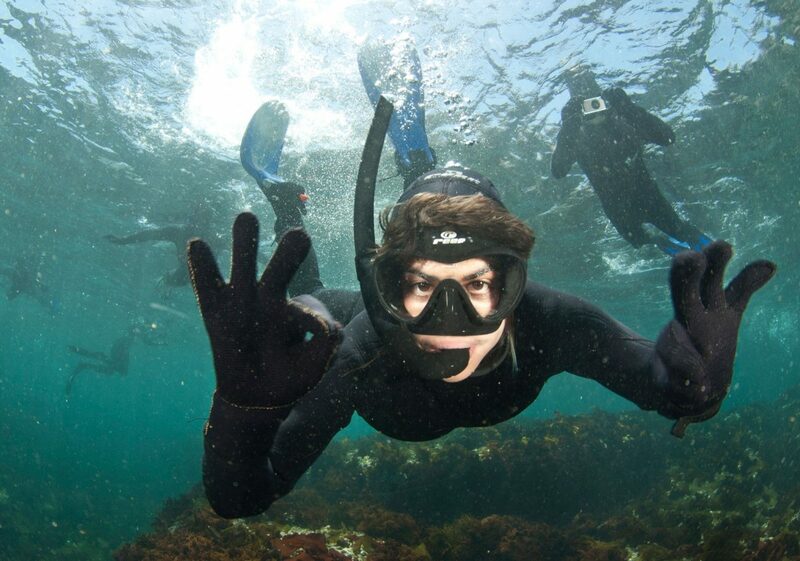 We provide all snorkeling equipment, a seal guide, transfer from the office to the harbour, boat ride, educational briefing, water, biscuits, hot chocolate and hot water to pour in your wetsuit after the snorkel, along with tea and coffee at the office and a HOT shower. 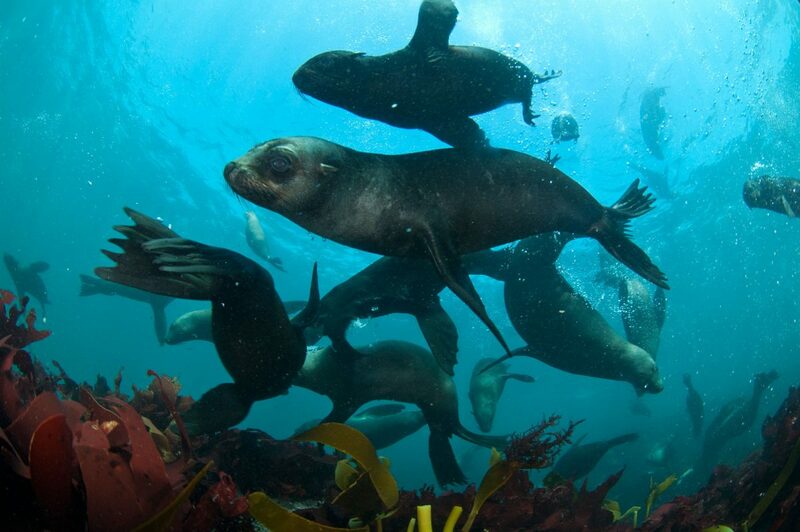 What is the best time to snorkel with the seals? The best time is whenever you can and time allows! Summer is generally best – September to May. The most consistent and warmest conditions occur from December – February. From mid-March onward the seal pups are learning how to swim and are very curious in the water! Children need to be 10 years or older to snorkel. It is important that you let us know if children are joining as part of your group, as we need to make sure that the conditions are not too rough. Boat viewers can be from 6 years old and upward. Please take medication if you are prone to motion sickness. Once we are with the seals we cannot return until after the snorkel has finished, 1 and a half hours at sea. No, the island is situated on the cold Atlantic side of Cape Town where temperatures range between 8C -15 C. Great White Sharks prefer seal colonies on the east coast of South Africa. The shallow reefs and thick kelp forests prevent large sharks from coming close to Duiker Island. The well-established and long-running seal watching ships have not seen a shark at the island in over 20 years of operation. If you would like to see a Great White shark we will happily assist you by booking you onto a Shark Cage diving experience from Gaansbaai. 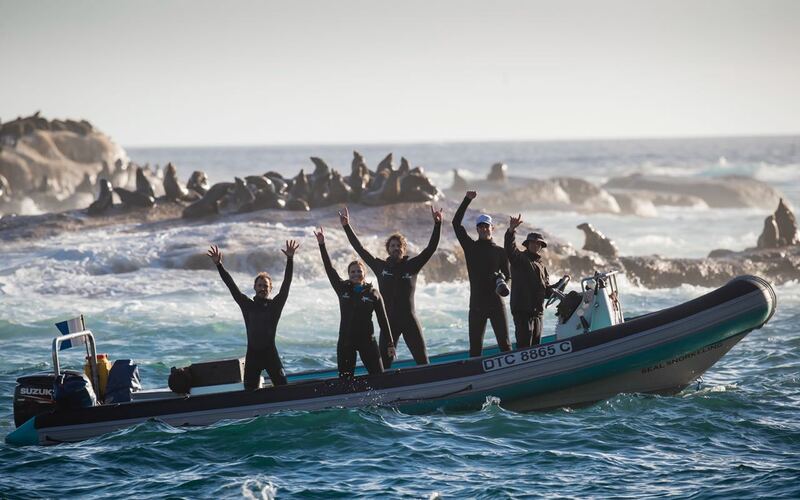 Animal Ocean takes a maximum of 10 seal snorkelers at a time. Each boat will have a skipper and two dive guides. During High Season we launch two boats, giving us a maximum of 20 snorkelers on one trip. Yes, we charge a reduced rate for people who want to come look at the seals from the boat while the snorkelers are in the water. If you are booking as a boat rider it is suggested that you bring an all weather jacket with you for the trip, as the boat gets splashed! We have fleece lined 5mm one piece wetsuits with hoods. We also provide 3mm vests, 4mm gloves, booties, fins and silicone masks and snorkels. Our equipment comes in a range of sizes to suit everyone. I wear glasses – can I join? 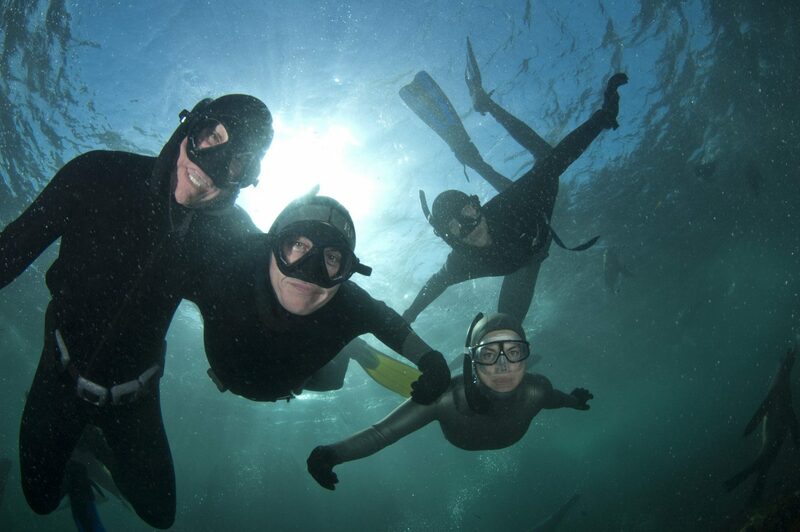 We recommend bringing contact lenses if you wear glasses, as the glasses will not fit under the snorkeling mask. I am pregnant – can I join? If you are less than 6 months pregnant and would like to join us, please indicate this on your booking and provide us with a doctor’s note certifying that you are fit for physical activity. No. Any taxi company will happily transport you to Hout Bay harbour. There are also the City Sightseeing hop-on hop-off busses that operate a route from Cape Town to Hout Bay and around the peninsular. UBER is the cheapest and most reliable. Bookings are confirmed only when payment has been received. Our online booking system only takes payment in full by credit card. Irregular bookings may be refused at any time. Please be careful not to double book yourself onto multiple time slots, if this occurs there will be a 10% admin fee on the refund unless it is within 48 hours, then no refund is given. We will only cancel when conditions are unsafe to go out, or we think we are not able to provide the good experience. We try cancel trips 24 hours before arrival, but will cancel at short notice if the ocean is unexpectedly rough. A full refund will be given if we cancel due to poor ocean conditions. Refunds are processed in batches and can take up to 30 working days to be processed and completed. Please be patient, we are a small company, and we will get it done. We only refund via the same method that we received the payment from. Cancellation within 48 hours of departure and no-shows will not be given a refund. All cancellations prior to 48hrs incur a 10% administration fee. Please fill out the booking form with all the relevant details. Please make sure your contact details are correct, we may need to cancel the trip or re-schedule. Master Card and Visa credit cards are accepted through the online payment and booking system, we also have snap scan now. If the trip is cancelled due to bad weather we will try reschedule the trip or refund you. Is there a minimum booking number? Our minimum is 4 guests per booking slot to run a trip – if we do not have the minimum booking number you will be offered an alternative date or a full refund. Please be aware that this is a swimming activity – for your own safety, the skipper reserves the right to assess your swimming ability and to ask you to remain on the boat should they deem you unfit for this activity. This is a physically demanding activity, and may be unsuitable for some. We use ribbed inflatable vessels without ladders for this activity, which may make it difficult to get back into the boat. We cater up to size 3 XL wetsuits – if you unsure please send us an enquiry at the email listed on our contact page. Animal Ocean supports a huge range of conservation, education and environmental activities. We want to make a difference and our beautiful oceans cleaner and better managed. We enjoy working with passionate researchers and organisations making a difference in the conservation world. Support academic institutions by providing free boat and crew to Duiker Island to conduct research on Cape Fur Seals. Co-ordinate and rally everyone to join beach clean ups, which we run monthly. Educational talks about Eco-tourism and the South african marine life to school groups. Provided boats and skilled staff for marine conservation field work trips around the South Africa coastline. Provide video footage and photographic images and services to NGO’s and researchers. Join us this year as we run our monthly Beach Clean Up series at the more hidden beaches of Cape Town. Go to Animal Ocean on Facebook for updates and details. Help us clean up the oceans and spread environmental awareness. Take your memories home with you, by using our underwater cameras. 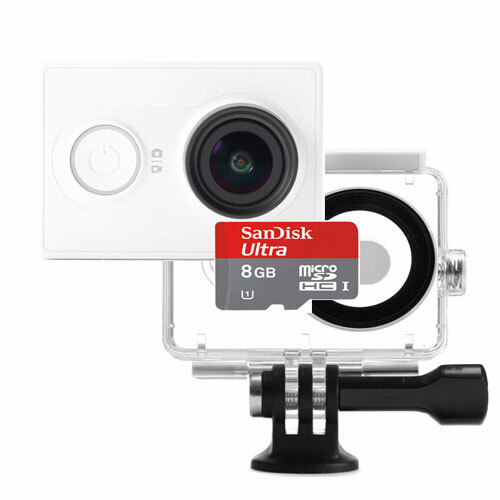 These underwater cameras will capture photos or video, and our staff will give you a quick lesson on how to use them. Push one button and capture the day on a Micro SD memory card that is yours to take home. All cameras are available for rental on the day. Animal Ocean We share our passion for the ocean with everyone we meet and because of this, amazing films are produced. Our team at Animal Ocean has assisted, skippered, filmed, dived and traveled with the BBC, National Geographic Magazine and many others. Animal Ocean is unique in translating the vision of any producer as we are keen observers of the natural world and have that photographic eye and mindset. We provide skilled water personal and equipment of the film industry and help cameraman get what they want… from seals surfing shallow reefs, surfers towing into giant waves or feeding Humpback Whales, and our favourite thing to do is snorkeling with seals ! … Ask us, we know how to get it done. BBC Blue Planet II – Surfing Dolphin sequence 2017. BBC Natures Great Events – Sardine Run 2008. To send an enquiry please use our form below. If you’d like to make a booking please use our booking form. Copyright © Animal Ocean 2019. All rights reserved. Seal Snorkeling - Cape Town, South Africa.